The right tools make a champion. Just as a soldier cannot win the war without his weapons, a badminton player cannot win the game without his racket. When it comes to playing badminton, you should not skimp on the racket. Having a quality badminton racket will help you learn the skills quickly and easily. If you are ready to become a big name in the field of badminton, here are the best Victor and Yonex championship badminton rackets of 2019 that you should consider buying. 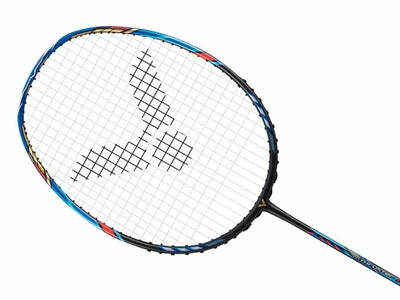 Yonex announced Nanoflare 700 in January 2019. Since then, the badminton racket has caught the attention of professionals and amateurs alike. The head-light racket was released on 1st March. Its unique design helps in flexibility and increased shuttle acceleration. It means you can hit deeper into the opponent’s court. Truly, it offers maneuverability of head-light rackets with the strength of head-heavy rackets. Available in many colors, Yonex Nanoflare 700 racket has a reimagined aerodynamic frame design. 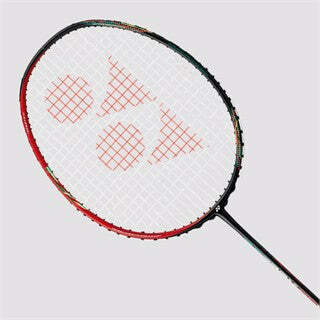 It uses the badminton giant’s Sonic Flare System technology that improves shot speed. It also has TORAYCA® M40X, the next-gen carbon fiber for stable yet elastic head shape. Malaysia’s top badminton player Lee Chong Wei, the triple silver medalist at the Olympic Games uses Yonex Astrox 99 racket for its amazing steep-angled shots. The racket is built with new dimension graphic material called NAMD. It has a shaft that stores energy and delivers explosive shot when in contact with the shuttlecock. 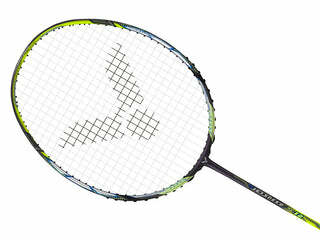 Also, the top choice of Japan’s favorite player Kento Momota, Yonex Astrox 99 lets him play explosive shots on the court. The racket complements his unpredictable style of play and helps him win the game with sheer ferocity. If you love playing fast and powerful smashes, this is the racket for you. The isometric Yonex Astrox 88S badminton racket has a stiff flex yet its unique design makes the whole frame flexible. Thus, it ensures improved accuracy while hitting the shots. If you love a light-weight racket with incredibly high speed and zero compromises on control, choose Astrox 88S racket. The racket is a favorite of several professional badminton players across the world. Doubles specialist, Indonesian player Kevin S. Sukamuljo uses the Yonex Astrox 88S racket. English player Gabrielle Adcock and Danish players Mathias Boe and Viktor Axelsen also prefer the racket over other models. Used by world’s top players including Goh V Shem from Malaysia, Lee Yang and Hsu Ya Ching from Taiwan, Victor AuraSpeed 90S racket delivers speed, strength and control in one racket. The racket comes with an upgraded shaft and a solid frame that gives ultimate speed and strength to your shots. Thus, making your defensive shots as well as attacking shots lighting fast. Weak and slow return shots can spell a disaster in a doubles game. And, with AuraSpeed 90S racket’s Whipping Enhancement System (WES), the racket essentially solves the problem by delivering crisp shots and fast swings all the time. The unique feature of Duora models is the Dual Optimum System that offers a box frame for the forehand side and Aero frame for the backhand side. The forehand side promises better shuttle hold and superior power. On the other hand, the backhand side delivers high stiffness and quick repulsion. It may not have received a positive response in the beginning but the racket has quickly become a favorite of top players. Viktor Axelsen used the Yonex Duora Z Strike badminton racket for winning World Badminton Championship in 2017. Named as the offensive racket, Duora Z Strike gave him an upper hand on the court. 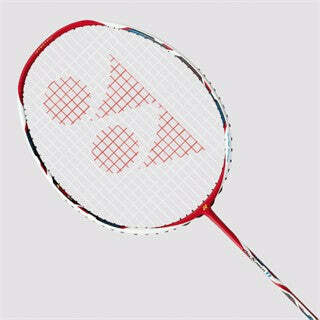 Its ability to boost power, speed and control makes the racket a formidable weapon. Other players who use it include Spanish player Carolina Marin and Taiwanese Chou Tien Chen. When the youngest No. 1 in Taiwanese badminton history chooses a racket, you know that the model is worth investing your bucks. A favorite of Tai Tzu-Ying, Victor Thruster K Falcon racket or the TK-F is an isometric racket that increases the sweet spot by 4%. The racket is designed in such a way that it enables smart weight distribution. The head-heavy racket doesn’t affect control. It lets you maneuver shots much more easily than other head-heavy racket options available in the market. If you love an aggressive game, you won’t make a mistake by choosing Thruster K Falcon racket. 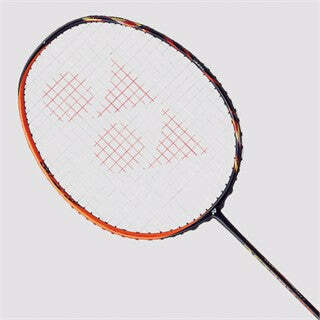 Victor promises up to 10% reduction in air resistance with the uniquely designed Brave Sword 12 badminton racket. Its diamond-shaped design cuts through the air and delivers more consistent shots. If you are looking for a racket that offers an all-round performance, choose the model today. The racket was made a household name by the Korean national team. Top South Korean players including Lee Yong Dae and Yoo Yeon Seong used it regularly. 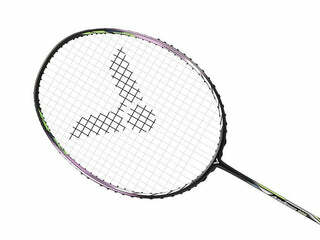 Yonex Astrox 88D badminton racket is a top choice of Marcus Gideon, Chris Adcock, and Carsten Mogensen. The racket has a shorter kick-point in comparison to Astrox 88S racket. By ensuring more flex in the top part of the racket frame, you get to enjoy maximum power while hitting the shots. It is ideal for powerful attacks. 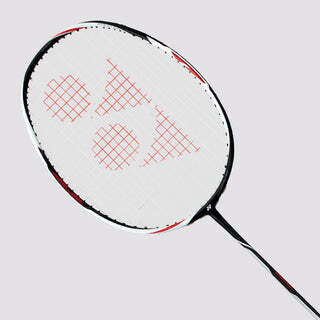 So, if your style of playing is aggressive and you enjoy hitting smashes, this racket can be the perfect choice for you. Use it to excel your game and prove to be a strong opponent for your competitors. Tan Wee Kiong is a doubles badminton player from Malaysia. His favorite is the Victor JetSpeed S-12 badminton racket. The speed racket comes with a stiff frame and a flexible shaft. Kiong prefers Victor racket for ensuring easier control over his shots and faster movements. It is ideal for players who prefer fast rallies. And, thus, it is a favorite of several doubles players across the world. If you are looking for a racket that generates better swing and speed along with powerful smashes, JetSpeed S 12 racket can be your answer. The Yonex Arcsaber series was a favorite top Indonesian player, Taufik Hidayat. The rackets are designed to store and release energy in such a way that precise, controlled shots become a reality for players. The racket is extremely popular among professional players as well as amateurs and beginners. 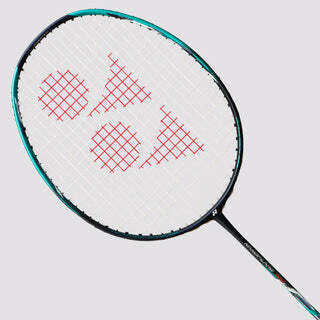 Yonex Arcsaber 11 badminton racket is a well-balanced racket that makes powerful shots easy and accurate. The long shaft is ideal for playing difficult shots successfully. You can choose the racket for its exclusive Tri-Voltage System that offers a powerful combination of strong smashes and speedy shots. Now, that you know all about the top-performing badminton racket models, making an informed choice becomes easy. Before you make the purchase, make sure that you understand your playing style and choose a racket that enhances your skills. Haste makes waste. So, take time in understanding your play before hitting the buy button. Are you looking to buy best Victor and Yonex championship badminton rackets of 2019? Choose Nydhi.com, the reliable online badminton equipment store. Find a wide-range of best-selling badminton rackets from world’s best brands. Shop now.